#VedalamSingaporePremier Dear Vijay fans Vijay sir nothing to do with this film, its a cheap publicity to make u guys watch FDFS. Rumor. #VedalamSingaporePremier Baasha transformation from Vedalam don to taxi driver ROFL Police can't find the difference nambunga. Friends Sry To That Tweet Its Already Det Plz Give Me Your Support ! #Vedalam ! #VedalamSingaporePremier ! #VedalamSingaporePremier Cruel comedy scenes between Shruthi, Soori and Ajith gives us headache. Siva oru tablet parcel pannunga mudiyela. #VedalamSingaporePremier ! #ThambiRamaiya கண் பார்வை அற்ற #Lakshmimenon தந்தையாக மிக சிறந்த நடிப்பு ! #Vedalam ! #CineTime Team Mem Watching #VedalamSingaporePremier ! Rating Review Soon ! #VedalamSingaporePremier 25 min of nonsense mokka hero entry then soori and shruthi making mokka comedy with one end and Ajith other end. #VedalamSingaporePremier Shruthi came to know about Ajith involvement in the crime interesting scene so far. #VedalamSingaporePremier Ajith involving in a crime funny twist Mr. Siva. #VedalamSingaporePremier Siva tried his best to elaborate about women safety, cautious measures but failed miserably with his screenplay. 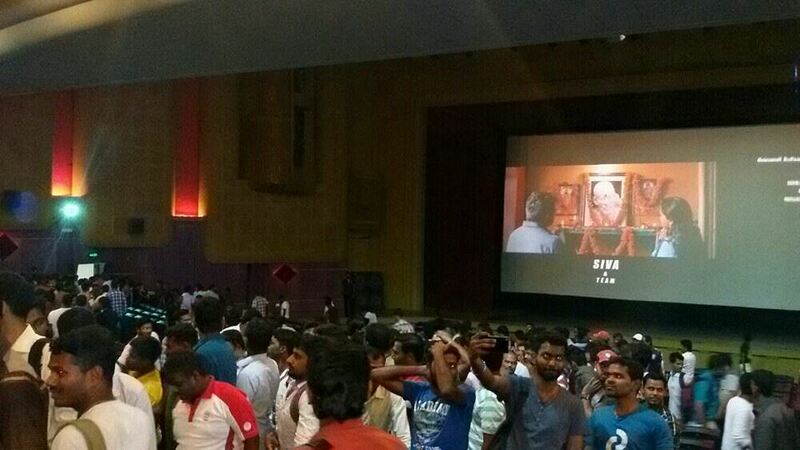 #VedalamSingaporePremier 30 min into the film still they haven't get inside the story.. scenes coming like episode. Positive: Vinayaga song.